PhoneWorld offers all residential and business customers in Switzerland one of the most cost efficient 'quality' services for voice, fax, data as well as internet access. 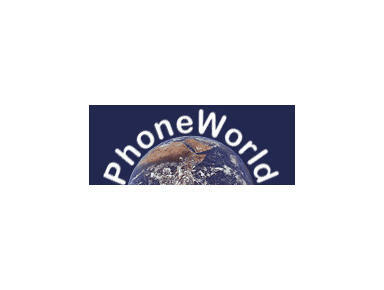 PhoneWorld is also associated with GlobalPhone, USA. This service guarantees lowest worldwide callback rates for fix line and cellular phones, worldwide calling card service, conference calling and internet access for the traveler.